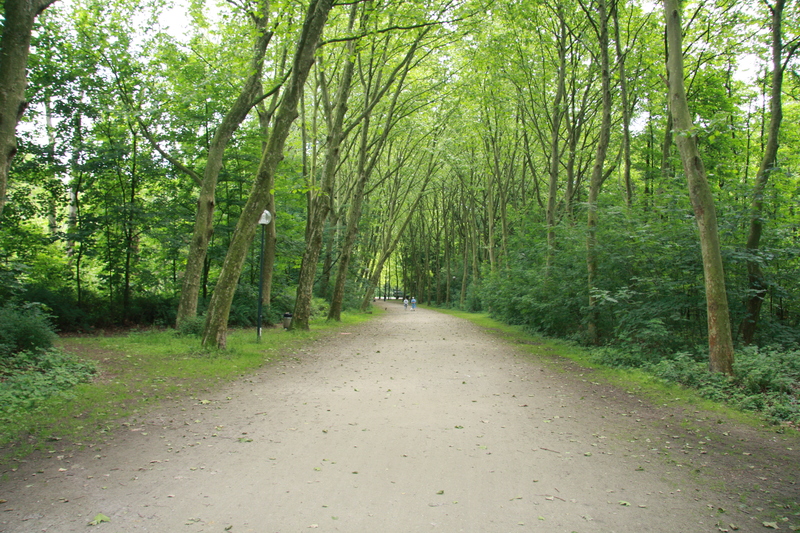 The Parc Malou with its 20 acres is the largest park of Woluwe-Saint-Lambert but also the oldest. Amoung other things It features the Moulin Lindekemale (old mill), The Château Malou (Castle), A large playground for children, a fishermen’s pond, walks along the rivière Woluwe (Woluwe river) and sightings of wildlife such as ducks and swans. Built downstream from the confluence of the Woluwe and Struykbeek, this former grist mill, mentioned in texts as early as 1129, used water from both of these streams to increase its power. In the 19th century, paper was also made here. Around 1900, faced with competition from the milling industry, the managers opened the Mill Milk Bar a place where walkers stopped to quench their thirst. Acquired by the town in 1955, this is the only mill to have survived the urbanisation of the valley. The paddle wheel was restored in 1994. Art Words which promotes contemporary visual artists. Beautiful pictures, I used to live in Brussels and visited the playground many times with my children, it's one of the nicest ones with a coffee shop. It's a beautiful parc in the heart of brussels! You are currently reading "Parc Malou"